Are You Bait for the 2019 Rotary Shark Tank? Does your business have a vision to deliver a social impact? 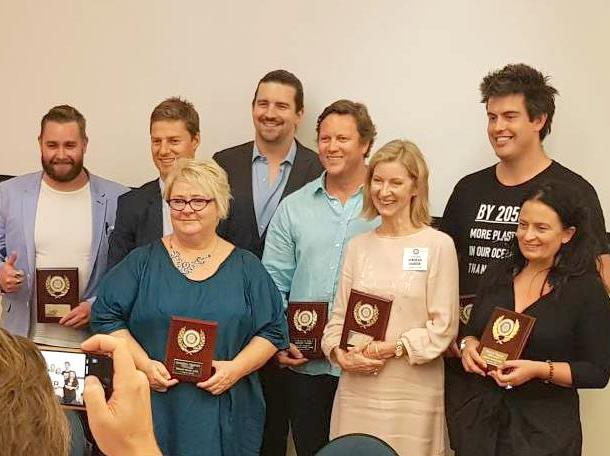 The Rotary Shark Tank is a competition among businesses working in the social initiatives in Western Australia. The Rotary Shark Tank is run by local Rotary Clubs. Our event is businesses of all types, not for profit, corporations, and small businesses. The Rotary Shark Tank gives mentoring, financial planning, business planning, and assistance sourcing products and services to winning businesses with a social mission. Ready to dive into the community? Looking for a mentor and a step up? Does your Rotary Club want to support and promote social entrepreneurship? In addition to looking for business in our community, we are looking for fellow Rotarians to come swim with the sharks. If you have business skills to share, we invite you to help school us in turning social initiatives into a sustainable business. Or, sponsor a winning business! Partner with us for the 2019 Rotary Shark Tank. Send an email to Ian Fairnie. 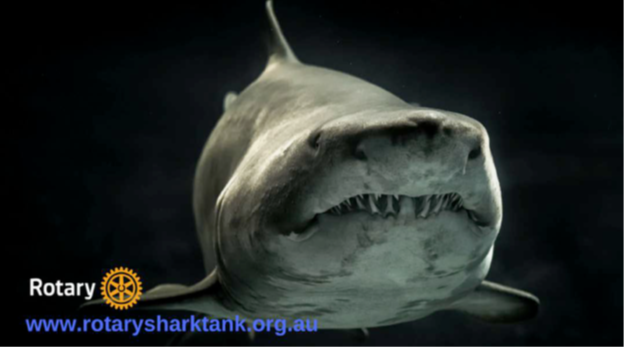 The Applecross Rotary inaugural Rotary Shark Tank Event was held on 7 March 2018. We are Rotarians from around WA with decades of management experience. We share our business knowledge as part of Rotary's Vocational Avenue of Service. Are you like our 2018 finalists? Let us know who you are and what you do. You may be our 2019 contestant! When disasters occur requiring mobilisation of healthcare services to distant areas, the proposed sea container- based medical service can be deployed rapidly to affected areas. 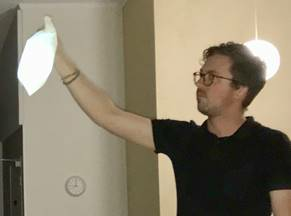 Stuart McLay is an emergency and intensive care doctor, with some alternative thinking about the delivery of medical care in austere environments. The challenge is to provide Microhubs which houses resources, mentors and relevant information to people with disabilities, marginalised youth, refugees and immigrants, to develop small businesses linked to the person’s passions. Geraldine Maddrell has home educated her children, run a high school for students at risk, worked voluntarily overseas. This project addresses the issue of poverty in East Africa, to position East African communities as knowledge generators of their own solutions by using a co-creative approach with a distinctly African Entrepreneurship. Aden Date is a consultant, writer, and comedian based in Perth, though he left his heart in Africa. The primary reason for women returning to a violent partner is financial insecurity. Changing this means to protect vulnerable women and children, and potentially save lives. Kirsten Shearn leads this Patricia Giles Centre Initiative. She has a background in the design of values based business models. Giving Plastic a New Life: It is estimated by 2050 there will be more plastic in the ocean than fish. Darren addresses this issue by building and running a waste plastic reprocessing plant in WA, producing 3D printer filament. Darren was named by the United Nation's as one of the Top 10 most outstanding young people of the world, for his work in the community and his success as a social entrepreneur. Sharks were tasked with helping businesses sort through the business bait and get entrepreneurs onto a sustainable business journey. Deborah Barker began the commercial flooring business Masterfloors in 1980. This company has been involved in the construction of almost every recent high rise building in the Perth CBD, as well as at Fiona Stanley Hospital, providing hard flooring, carpets and vinyl. Deborah has been a member of Applecross Rotary since 2005 and is currently the Treasurer. She is a Paul Harris Fellow. Ian Costley is Managing Director of Lazer Safe and Chairman of the Lazer Safe Foundation. 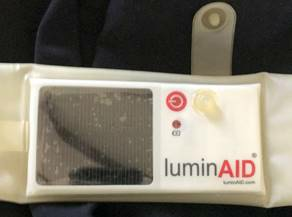 Ian’s company has invested funds donated by his staff in a community in a suburb of Lusaka, the capital of Zambia, to purchase an ultrasound scanner, which predicts the likelihood of difficult birth, reducing maternal mortality by 40%. The community sells this service and uses the proceeds to mill maize and provide food for the community, and raise further funds providing this service. Kohen Grogan founded Yappy Group in 2012 with a budget of just $2,000. His plan was to develop a tool that could accurately measure the effectiveness of clients’ social media marketing. The company has won multiple awards. He is a firm believer in philanthropy and serves on the board of education charity Classroom of Hope, which provides child-friendly education for children in developing countries. Yappy has also provided discounted or pro-bono services to not-for-profit groups such as Parkerville, Rockability, Lifeline WA, and Beyond Blue. David Reed has spent almost his whole life involved in the WA mining industry. David has also spent much of his life giving his time to not-for-profit organisations such as St Vincent de Paul and Rotary International. When David was President of the Rotary Club of Perth his Club began a partnership with ‘Vinnies’ to establish and run Passages, a drop-in centre in Northbridge, and later established another Passages in Mandurah. David’s other passion is breeding racehorses and living in perpetual hope that one of them will win a Melbourne Cup one day. Meanwhile the annual Passages Race Day at Ascot is a major fundraiser for his favourite Rotary project. Dylan Smith originally moved from Melbourne to Fremantle to play for the Fremantle Dockers in 2004. Dylan recognised that Fremantle is unique because people are willing to make a direct difference to the lives of others. As a result Dylan guided the process of establishing the Fremantle Foundation, which helps individuals, families, businesses and groups set up charitable funds to support causes they care about. For donors, it's like having your own foundation, but without all the hassles. Dylan was married in North Fremantle and enjoys teaching his three kids to swim at Leighton Beach. If you have a new or existing social enterprise, or even just an idea for a project that you know would help a local or international community, then Rotary wants to hear from you. Applecross Rotary Club is bringing together the Rotary Clubs of Western Australia to provide a forum for you to pitch your idea to our Sharks, who are a group of successful Rotarians and other philanthropists who can take your project or idea to the next level. Initially there will be a focus on people who live and work in or near the Cities of Melville and Fremantle, alerting them that they have a number of local Rotary Clubs that would love to hear about the burning issue they want to address. You will be given support in preparing your pitch by volunteers from ICON, a network of talented B2B professionals https://iconapac.com/ . After vetting your proposal, you and your ICON mentor will be ready for you to make a case for support from our panel of Sharks representing Rotary Clubs across the state. The first thing to do is to go to the website and read the information, then complete the application form and send that off. Your submission will then be reviewed and if successful, the organisers to find you a suitable mentor from ICON to prepare for your pitch to the Sharks. Everyone participating will gain additional presentation and business skills, and you may just be one of those selected by the Sharks to take your project to new heights. For more information contact Ian Fairnie.